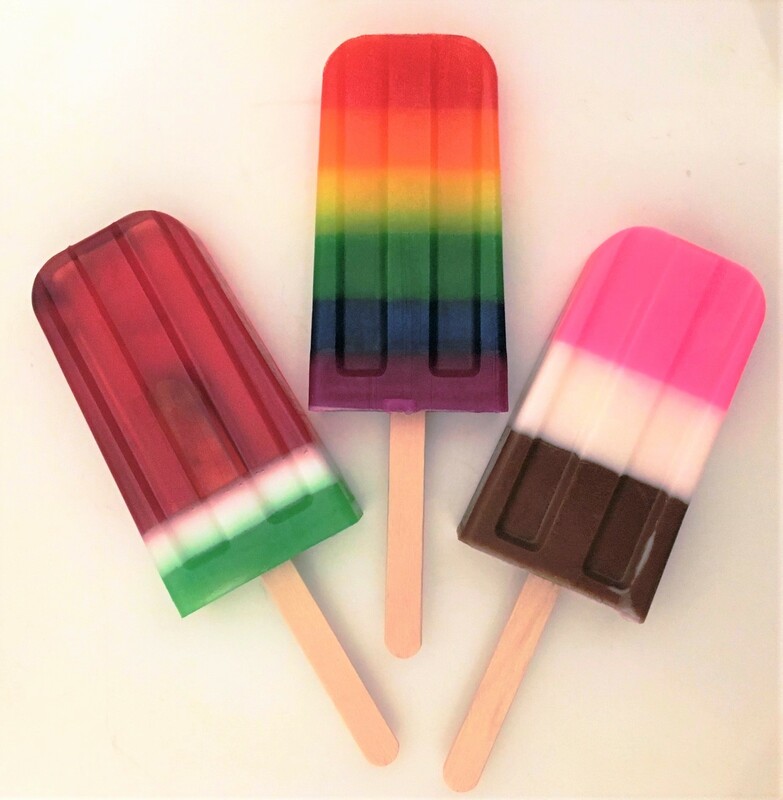 Just Bubbly has been creating Soap Pops since 2002 and each season bring new and exciting designs to our Soap Pop collections. 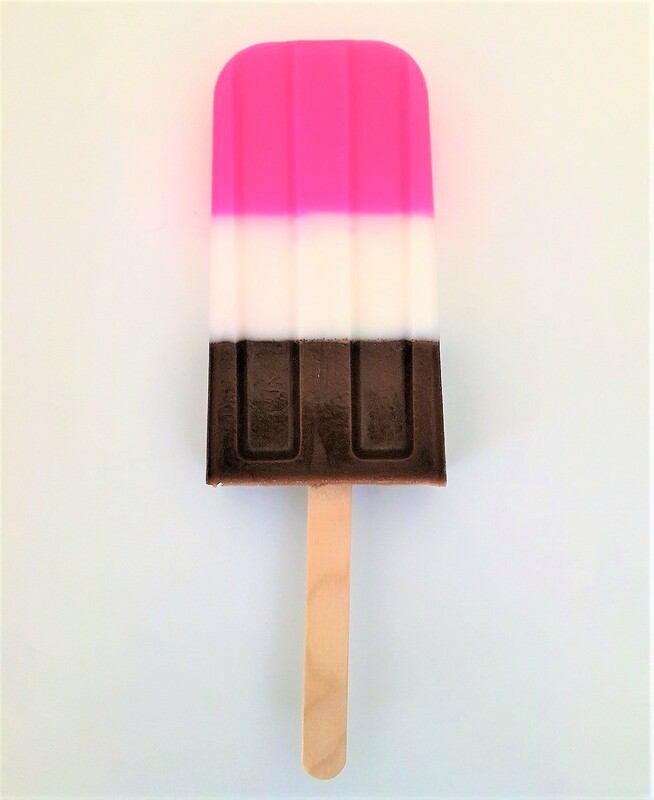 Designer Soap Pops are bigger and bolder than our regular Soap Pops. 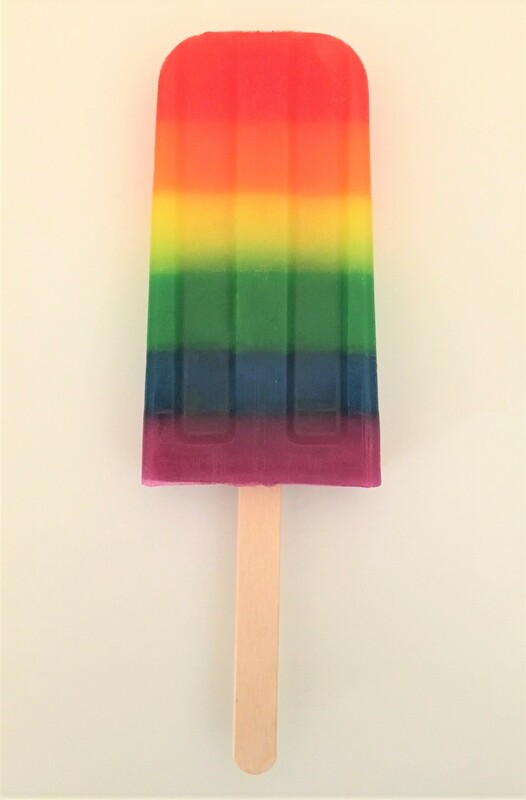 Each handcrafted Soap Pop is a full 3 oz. 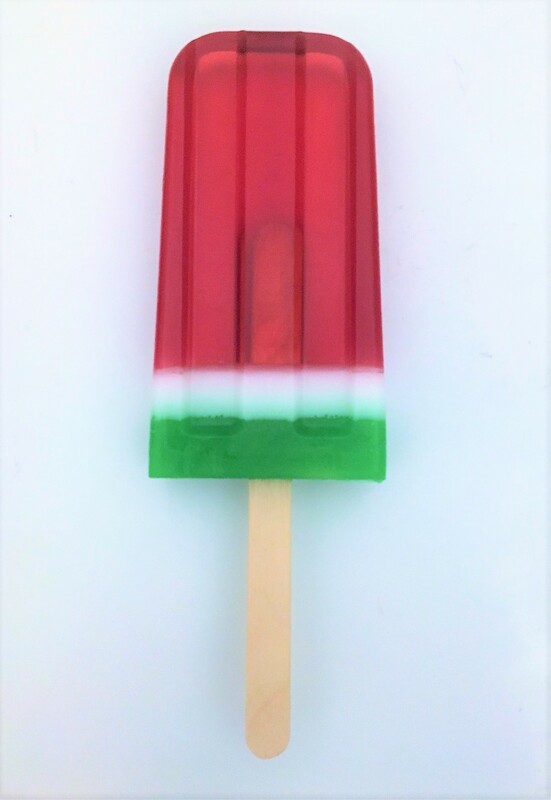 of our famous hypoallergenic vegetable glycerin soap, is brightly colored and scrumptiously scented. 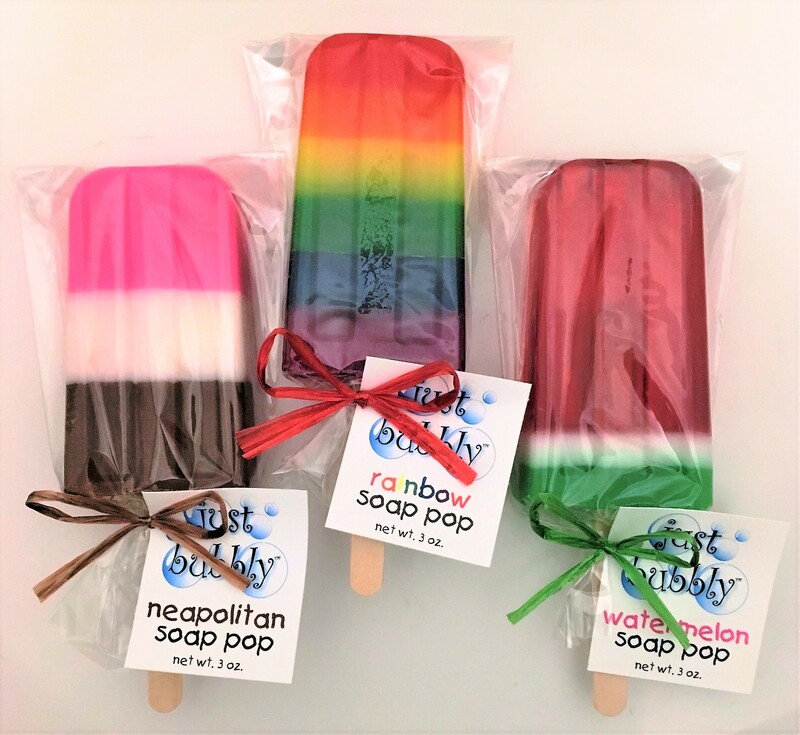 This trio includes one Neapolitan Soap Pop scented Strawberry, Vanilla and Chocolate; one Rainbow Soap Pop scented in summer citrus fruity; and one Watermelon Soap Pop scented sweet watermelon.